Not all of us can sew or are very creative, yet we see all of these beautiful hanky’s and wonder what we can do with them. 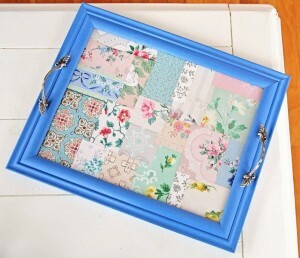 We are going to share some ideas to use these beautiful hanky’s with little or no sewing, and a little imagination. 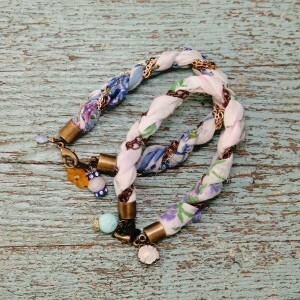 Below is such cute bracelet made out of hanky’s. I am going to have to try this. What a unique way to serve tea to your lady friends! oh, and the colors! You could make one for each season. 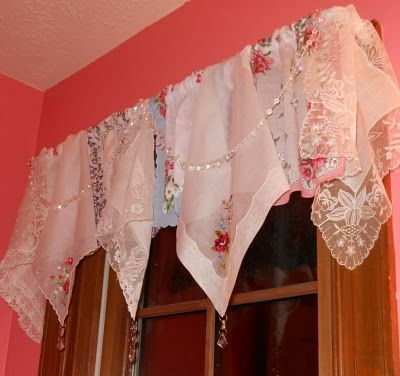 This a great way to girlie up you space by making hanky a window valance or curtain.